Atlanta Parking – Watt Commercial Sweeping, Inc.
You’ve had your concrete guys pour and set your curb-lines and the pavers have laid the asphalt; you’re done! That’s the norm, in an effort to change thinking a little, consider this. Waiting until the weeks before opening day is going to significantly impact on your budget. A kick in the wallet when you’re crushing down the home stretch is a good way to ruin a day or week. Early maintenance is key! Once the lots are opened, it is crucial to maintain the cleanliness of them. Having them maintained early on reduces the cost of power washing and flooding the construction debris off and reduces labor and sweeping cost too. This customer decided to act sooner than later and had us come out to their property to clean the grounds. Although the project was well on its way and the entire clean up took about 16 hours, it is now up to a manageable level. Going forward, each subsequent service will be substantially less in cost and labor time. The gallery below highlights only one of the lots that surrounds a million+ sq ft warehouse. 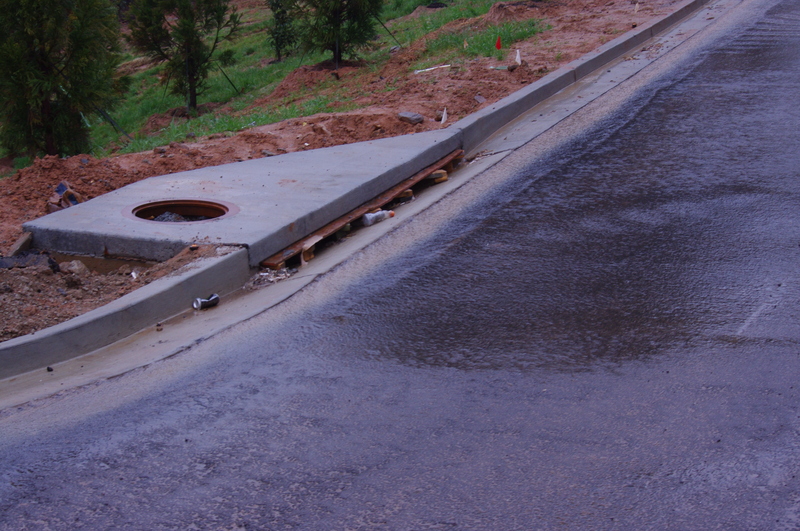 Sweeping is Essential during Construction and Development Phases–Protect your Investment from the Beginning! It might seem that working a regularly schedule professional sweeping program into your business isn’t needed until your business is finally opened and in operation, but that’s not the truth. During the construction and development phases of any business type, regular professional sweeping services are definitely beneficial to your timeline, bottomline and your budget. Watt Commercial Sweeping, Inc. has the experience to ensure that your business is properly swept during your development, construction and operational phases. Why do you need to have your construction site swept? It may seem silly to you that a site that is in the midst of construction would need to be swept regularly because it’s just going to get dirty again as construction continues, right? Well, it is because it will keep getting dirty that regular professional sweeping is actually beneficial during the construction phase of your business or development. Jobsite safety and environmental regulation compliance are directly related to your site’s cleanliness. Regular sweeping will help to reduce liability from loose rocks and debris from your site littering the streets and also help to control dust problems that can create poor road and environmental conditions. Today’s competitive business climate means tighter construction schedules and tighter budgets that cannot afford to be exceeded. Time and money spent on cleanup during your construction phase will directly affect the performance of your crews, aiding their ability to be able to do their jobs most effectively, and regular construction sweeping done by Watt Commercial Sweeping, Inc. can help you to stay on schedule and to also avoid any possible fines that could arise from dust polluting the air and any dust and construction debris causing dangers to drinking water sources by way of run-off. Waiting until the last phase of your construction has several drawbacks. It will cost you more in labor hours and time to have your crew prepare an overly dusty and dirty construction site in order for it to be swept. The accumulation of weeks or months of construction debris will have to be removed slowly and over a longer amount of time in order to properly prepare your development for opening day without causing dangerous airborne pollution from stirring up the acclimated dust from your site. Watt Commercial Sweeping, Inc. has the experience and equipment necessary to keep your construction site well-maintained from the beginning phases right up until opening day. We will help you maintain your budget and your timeline all while reducing the liability of on-site related injuries and costly environmental fines. Don’t wait until your business is open and operational to begin a professional sweeping program. Call Watt Commercial Sweeping, Inc. today so that we can help your business from the construction phase all the way through opening day and beyond! Inches of compacted dust cover the asphalt you spent so much of your time and budget having laid. When your construction site is not regularly swept, dangerous, harmful, dusty, dirty water run-off puts you at risk of costly fines and the drinking water of the community around your business at risk of contamination. Keeping your construction site clean and professional swept on a regular basis leads to cleaner water run-off, less negative impact on the environment and the surrounding community and also keeps the chances of on-site injuries lower. Don’t wait until your construction is finished to implement regular professional sweeping services. Regular sweeping done by Watt Commercial Sweeping, Inc. throughout your site’s construction can help you in a number of positive ways! Call us today to get started on your construction sweeping plan today! You Can’t Just Sweep It Under the Rug! Spring is a time of renewal; a time of growth. Spring cleaning gives your business the renewal and new growth that it needs. One of the most effective and cost-efficient ways to give your business a “face lift” for spring is to ensure your parking lots and parking structures are cleaned by a professional, experienced and reliable sweeping company such as Watt Commercial Sweeping, Inc. The Spring months are also the best time to have your parking lot assessed and inspected for any needed asphalt repairs, potholes that need patched, cracks that need to be filled, and an application of fresh sealcoating to your asphalt surfaces. Watt Commercial Sweeping, Inc. can take care of all of those needs for your business. Our sister company, Atlanta Sealcoating can easily come evaluate your property and give you the best advice on how to keep your parking areas in their best condition. Repairing your asphalt is by far less expensive than replacing your asphalt and Atlanta Sealcoating can help you extend the life of your current lots by making all necessary repairs and then finish off your lot by making it look brand new with new sealcoating. After sealcoating, Atlanta Sealcoating can also re-stripe your parking lot, ensuring that each space is clearly marked and that each space meets the legally set standards for size and type of spaces. After your parking lot has received its fresh face, Watt Commercial Sweeping, Inc. will gladly help you develop a professional sweeping schedule for your property that will fit both your needs and your budget, not just for the spring, but year-round. Call us today for your business to lavish in its own renewal and growth of the new Spring season! Winter Weather Wearing Away Your Parking Surfaces? Georgia is once again experiencing one of our miserable cold weather changes. Each year around this time it seems our state comes to some sort of a standstill due to inclement weather. Although we are not hit with inches and inches of snow, such as other areas, we are often the target of icy and freezing road conditions. Did you know that asphalt stays pliable for 20 years? For 20 years asphalt on our streets, highways and in your parking lots and parking structures stays pliable. What does this mean? It means that in order for you to prolong the lifespan of your asphalt surfaces, special care and maintenance must be taken. As the asphalt that is in your parking lots and parking structures naturally settle and shift, tiny cracks begin to form. What these cracks do is make your lot a target for dust, dirt, debris and worst of all water damage. 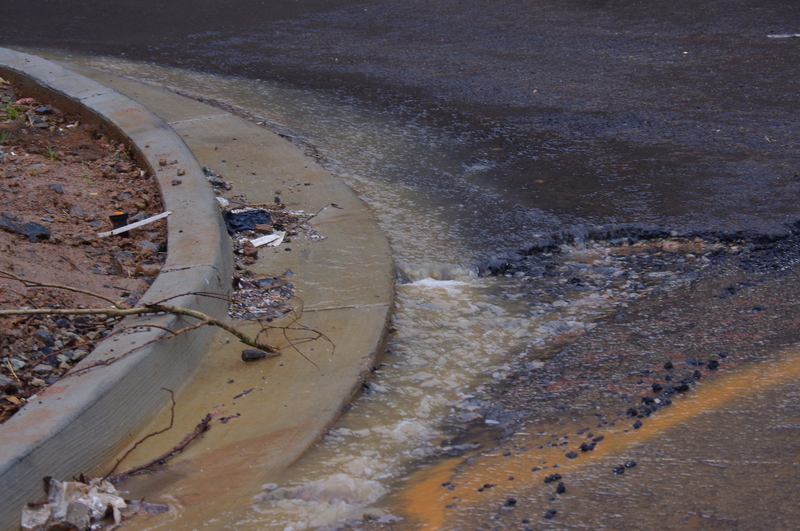 Water slowly infiltrates the cracks that are made in your parking lot surfaces and as the water seeps deeper and deeper into these once tiny cracks, they widen the cracks and make the underlayment and foundation of your asphalt at risk for complete destruction. 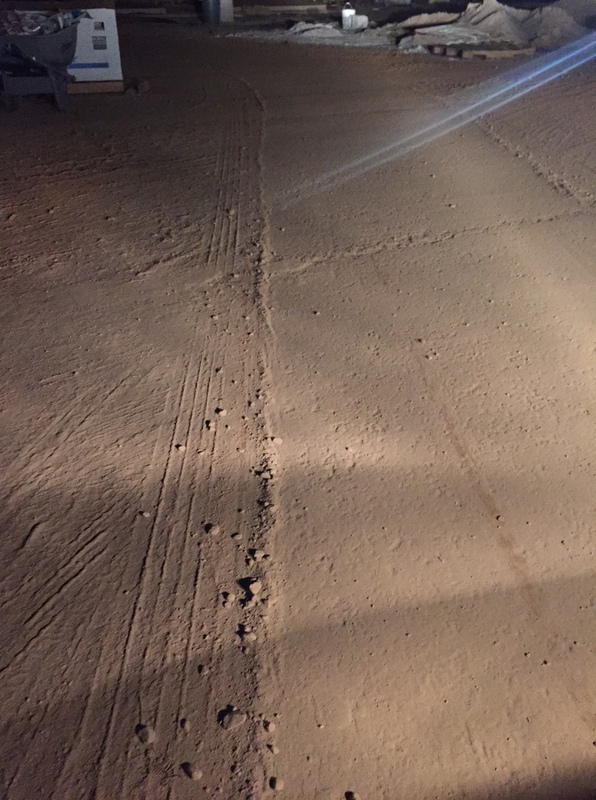 When we Georgians experience these icy conditions, it often causes great contractions and expansions in your asphalt surfaces, which then leads to cracking. As the ice melts, water infiltration can occur at a rapidly alarming rate, creating cracks. These cracks then are likely to spread and can cause potholes and an unsightly parking surface for your property. It doesn’t take an expert to tell you that maintaining your parking surfaces is a lot more affordable than replacing it. 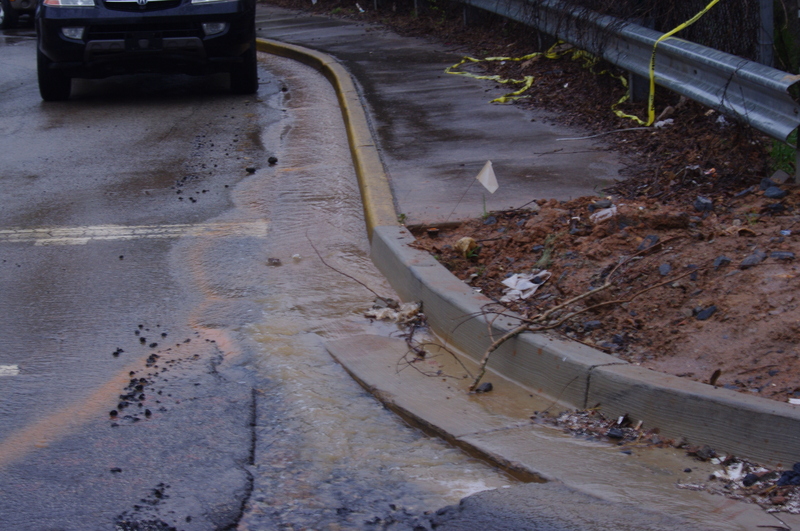 In order to stop the progression of erosion that infiltrating water can cause to your parking lots, you need to invest in a reliable crack filling service. Watt Commercial Sweeping, Inc. and Atlanta Sealcoating is THE place for one stop shopping for your lot maintenance, as well as your necessary patching, crack filling and seal coating. We will help you keep your lots immaculately clean with routine sweeping throughout the year and then after the winter weather has left behind its inevitable cracks and damage to your surface, we are here to help fill the cracks and then keep your surfaces looking like new with a proper sealcoating. Just like the health of your teeth relies on regular dentist visits, brushing, and flossing; so does the maintenance of your parking surfaces and parking structures. Let the experts at Watt Commercial Sweeping, Inc. help keep your lots as clean as they possibly can be and then allow Atlanta Sealcoating to perform an assessment of the cracks that your lot may need to have filled and then let us get your property looking like new again with a fresh sealcoating and re-striping. Don’t just let the maintenance of your parking lot go to the wayside. Maintaining and prolonging the life of your lot is crucial to keeping your customers feeling safe and happy when they visit your business and it keeps you from having to spend tens of thousands of dollars to repair a lot that could have been maintained and kept its best with a regular maintenance plan from Watt Commercial Sweeping, Inc.
Ok, so I’ve talked to you already about dust, but it’s such an important topic, that I really want to drive home the harmful effects and exactly what kind of dust we are dealing with here. Dust itself is a particulate matter that occurs naturally. It comes primarily from soil. However, the more dangerous type of dust, known as Fugitive Dust is a dust that gets suspended in the air by human activities. This fugitive dust is the dust that contains the harmful products such as pollen, dangerous spores, tire remnants and car dusts. The fugitive dust is the dust that is most harmful to us and to our environment. Did you know that fugitive dust is in the air we breathe? 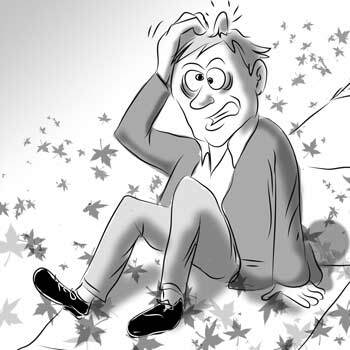 Sure, it’s dust, we breathe it, but do you know that fugitive dust contains things such as disease spores, asbestos, heavy metals and silica particles? This fugitive dust is also the dust that is responsible for lower visibility rates when driving. Think of LA and the smog. It’s kind of like that-the dust storms that can stir up because of fugitive dust can lead to major traffic accidents on our roadways. If all of those threats weren’t bad enough, fugitive dust also erodes the healthy soil that we need in order to grow healthy plants and vegetables for us to eat. So, let’s have a small overview: fugitive dust makes it harder for me to see when I’m driving, so I’m more likely to be in a possibly fatal car accident, fugitive dust makes me breathe in things like asbestos and disease spores, which put my lungs and life in danger and on top of all of that, fugitive dust is threatening the crops and the health of the fruits and vegetables that the crops yield? So, this fugitive dust is dangerous for my sight, my breathing, my driving and my eating? Yep, that’s right. Fugitive dust is more than just a nuisance–it’s a real danger and a serious threat to all of us. So, now that you hopefully have a better understanding of the dangers of this fugitive dust, I can help to give you ways of how you and your business can help us to alleviate this dangerous problem. The best way is for you to have an active Fugitive Dust Prevention Plan in action for your business. I know that may seem like a lot of work, but it really is quite simple, especially if you contact Watt Commercial Sweeping, Inc. who can actually work with you to design a specific Fugitive Dust Prevention Plan that will not only work for your business, but show you care about the environment. Regardless of the type of parking structure that your business has, be it single level, a parking deck, or even an underground parking facility, the best way to make your facilities as safe as possible for your patrons and to reduce your long-term maintenance costs down is with routine sweeping practices. Choosing the right sweeping and parking maintenance company is key to truly help with fugitive dust. Improper or ill-maintained sweeping equipment will actually not help clean up the micro particles of fugitive dust, but will spread them, dirty vehicles in your lot and recycle the particles into the air for people to breathe. The appearance of your parking lots and structures is obviously going to be one of your main concerns when hiring a professional sweeping company, but appearances are only one tiny part of what goes into true lot maintenance and cleaning. The most benefit you will see in the long run of using a sweeping service with the proper experience and equipment, such as Watt Commercial Sweeping, Inc., is the economic benefits for your company. It may seem like since you are paying upfront for sweeping services that you are adding money to your budget, but it is quite the opposite. Proper routine sweeping helps to keep your parking surfaces and parking structures more sound and help them last longer and keep them looking their best for a longer amount of time. The abrasive particles that are left on your parking surfaces without a Fugitive Dust Prevention Plan will slowly cause cracks in your surfaces. 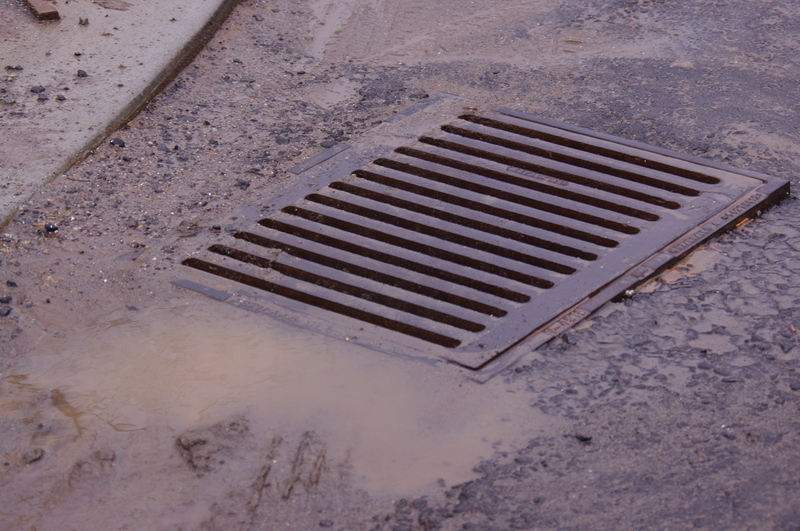 The cracks are made worse and deeper and more dangerous by the infiltration of water that is let in and then your parking surface not only will create more dust from the damage, but the damage will lead to extremely costly repairs for your business. Watt Commercial Sweeping, Inc. has the proper training and equipment to not just add to the problem of fugitive dust, but to help your business reduce its dangerous effects on the environment with our state of the art, dust controlled and highly efficient dust filtration sweeping trucks. For Watt Commercial Sweeping, Inc. it isn’t just about getting the job done. It’s about getting the job done right. Call us today and let us show you the Watt difference and exactly how it can help you, your business, your employees, your patrons and even the environment!